People write memoirs not merely to understand an experience but to understand themselves….Danielle Ofri learned that there were times when she would not be able to heal those who came to her for help. Ofri went from elementary school through medical school on the strength of her ability to master testable concepts. 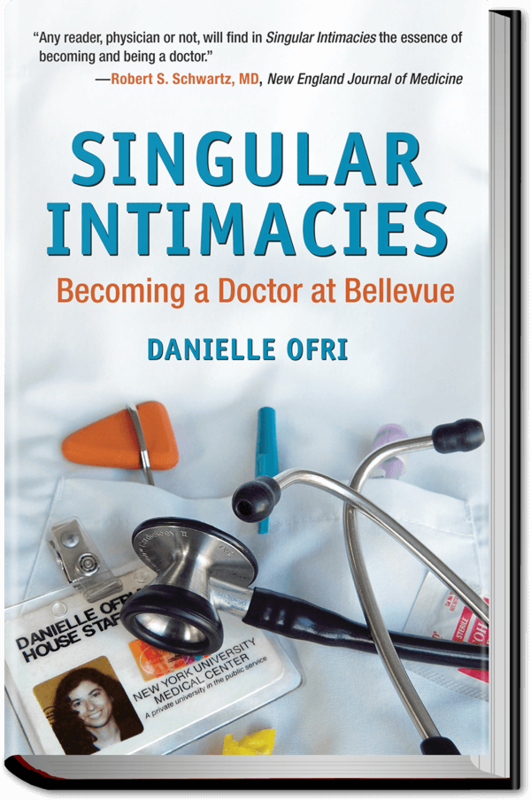 Then she got a job at Bellevue, the oldest public hospital in the United States, where, as she explains in her memoir Singular Intimacies, she had to adapt. A lesson might come through a tip from an attending physician or a point made during a noontime conference. But more often than not, it came from an encounter with a patient. Ofri discovered that she could draw a line between being a doctor and being a woman, that she could hate one patient and care deeply about another, that she could battle the medical establishment and even herself, and that despite modern medicine and her belief in the power of intellect, death conquers all. This last point — made when Ofri lost Mercedes, a 23-year-old Hispanic woman with no significant past medical history, to what seemed to be a headache — inspired the essay “Merced,” which gave rise to this book. 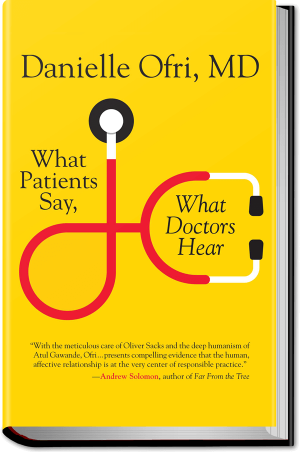 Having been told early on that the doctor-patient relationship is crucial to the healing process, Ofri mines that relationship for what it can teach her about life, death and medicine. As she does so, she tells stories, and each story becomes a chapter in her development as a doctor. The book begins with her as a third-year medical student, nearly overwhelmed by feelings of inadequacy, and ends with her as an attending physician, finding her niche as doctor and writer. At first, Ofri engaged in non-medical activities with her patients — massaging the feet of elderly heart patients, talking to drug addicts and trying to ease the fears of HIV sufferers. Soon she was drawing blood from a vein, then from an artery, putting in a central line, intubating a patient (inserting a breathing tube down the trachea) and diagnosing cardiogenic shock. Meanwhile, her longtime best friend, Josh, died of a heart attack, which led her to the book’s central realization: that her relationship with her patients is a sacred zone, populated by “living, breathing, feeling people” — like Josh, and like herself. Know thyself: That’s the theme of this book.